After Fuse Gallery closed behind Lit Lounge, owner Erik Foss gave us a preview glimpse into the new back room, which will now hold a pool table, games, seating, and rotating installations on the wall (unlike when the space was a gallery, the artwork won’t be for sale and will be covered over by each new artist). 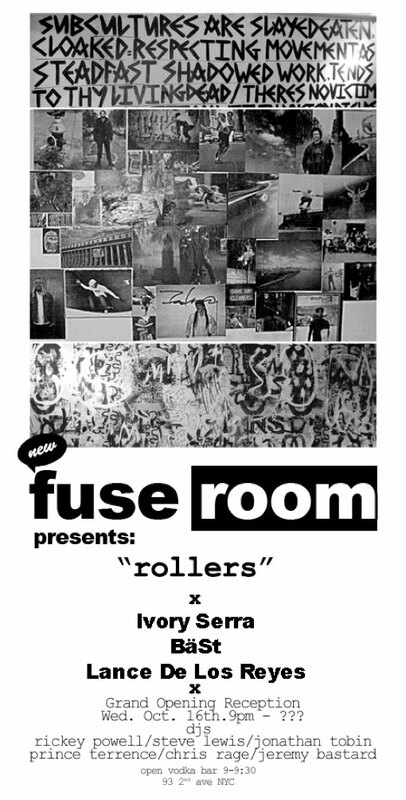 Now the space has a name (Fuse Room) and an opening date (Wednesday, Oct. 16). The launch party for “Rollers” (the debut installation from Ivory Serra, BÄST, and Lance De Los Reyes) looks like a blast (a BLÄST? ): there’s an open vodka bar from 9 p.m. to 9:30 p.m. and DJs include Steve Lewis, Jonathan Toubin, and Prince Terrence.